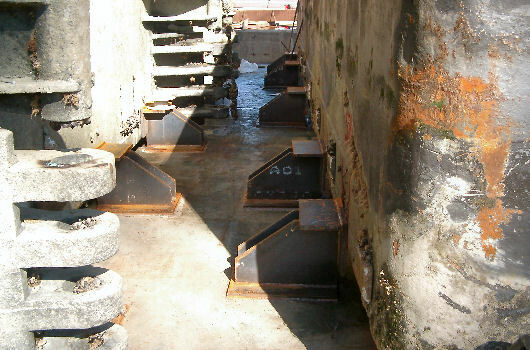 seafastened, using custom built steel chocks. 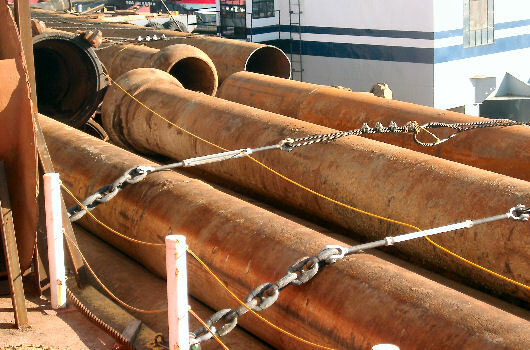 Using a floating crane, the pipes were loaded. 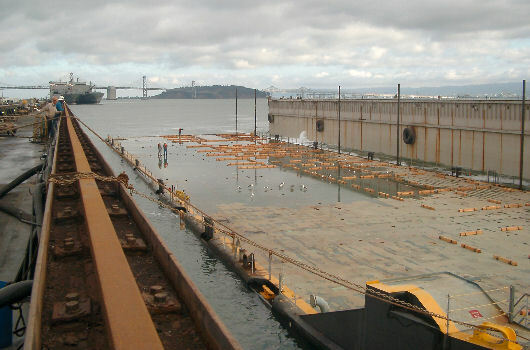 Oakland with destination Brunswick, via Panama Canal. 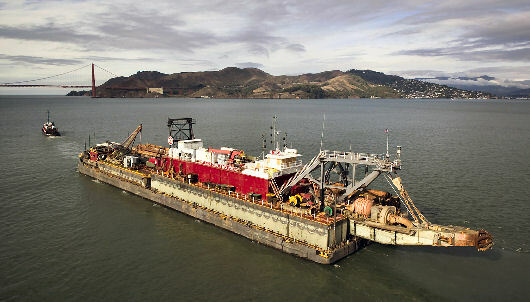 Aerial photograph courtesy of Great Lake Dredge & Dock Company. 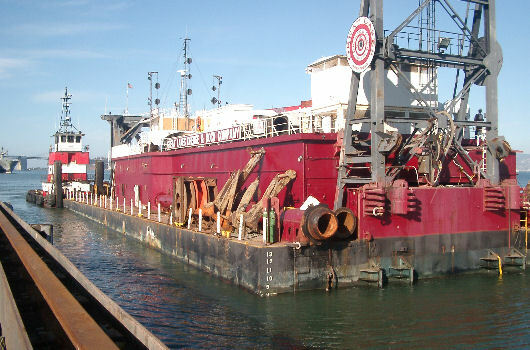 Inspect the tug SEA ISLANDER and its towing connections.